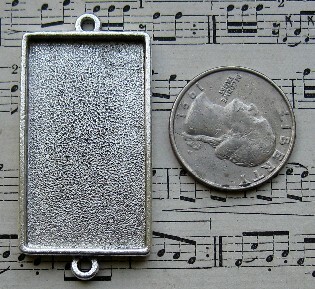 These pendant trays and tags make beautiful jewelry pieces or embellishments for your art! 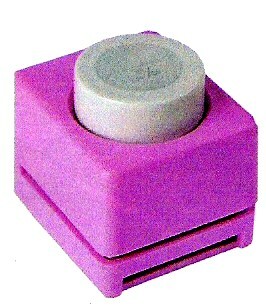 Think bottle cap all grown up! Insert your art in the tray or tag and fill with Diamond Glaze or Glossy Accents (on the Ranger items page)! 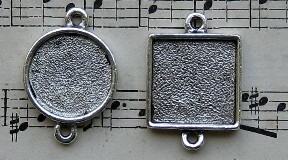 The pendant trays are heavy-weight cast pewter and deep. 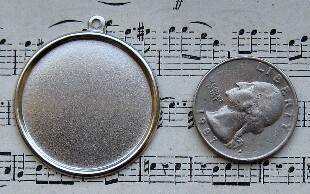 The pendant tags are stamped metal and shallow. Art samples shown at the end of the page! NEW! Nunn Design collage sheets for pendant trays! 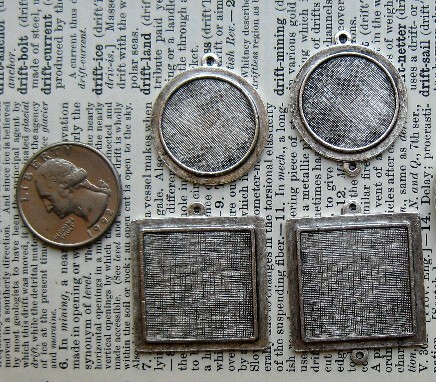 Pendant Trays, Small circle link is 3/4", Price $3.60 each; Large Rectangle is 1.25 x 0.75, Price $3.90; Large Circle is 13/16", Price $3.90; Small square link is 3/4", Price $3.60; Discounted pricing shown in shopping cart. Click here for how-to videos. 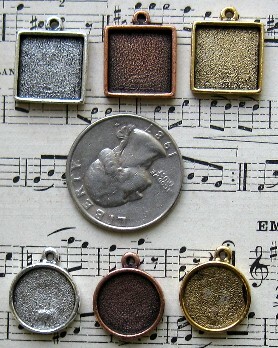 The images on these sheets are perfectly sized for the pendant trays, but you can use them on all of your art projects! 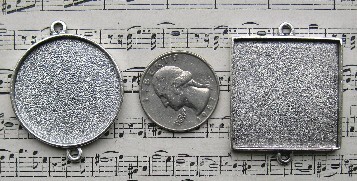 Patera Punches by McGill; sized for pendant trays; Grande Heart, Large Heart, Medium Square (15/16") All priced below retail!